John attended Roanoke College, Salem, VA, graduating with honors in History and Philosophy in 1962. After graduation, he finished high in his class at the US Naval Officer Candidate School in Newport, RI, and served as Combat Officer aboard the USS EATON (DD-510) in the Atlantic, Mediterranean and Caribbean Fleets, receiving commendations for his work in Anti-Submarine Warfare Air Control and Intelligence. In 1966 he finished his four-year tour of duty and enrolled in the Lutheran Theological Seminary in Columbia, SC. He again graduated with honors and served an Internship in Norfolk, VA, where he conducted one of the nation's first Street Ministries, working with "people of the night." From there he went to Cornell University in Ithaca, NY, as Lutheran Chaplain, where he created programs linking the spiritual domain with the educational and business communities. 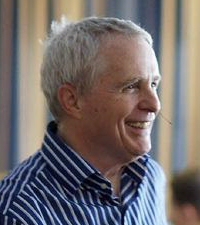 His reputation as a facilitator of change grew, as he responded to more invitations from business and non-profit organizations to lead management seminars and resolve workplace conflicts. In 1973 John went to Spokane, WA, to join the Leadership Institute of Spokane (LIOS), serving as Co-Founder and Core Faculty for the nation’s first competency-based Masters Program in the Applied Behavioral Sciences. In 1982 he founded his own leadership and organization development firm. Since then he has worked with large and small organizations and their leaders at every level, including Microsoft, Boeing, GTE, Ford, Sisters of Mercy Health Corporation, Polaroid, AEtna, The US Army, Northern Telecom, ACE Hardware, TV New Zealand, Blue Cross-Blue Shield, the van Melle Company, Pathways Polska, Siemens, DHL, and many others. 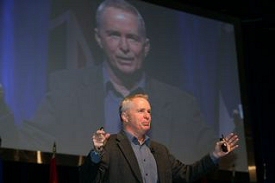 Each year he addresses conferences as a keynote speaker, this year the Canadian Government in Ottawa; business leaders in Krakow and Warsaw, Poland; and Far Eastern change colleagues at the first Asian Global OD Summit in Shenyang, China, where he will be introducing his concepts on the integration of work and the human spirit. In November, 2007, Stephen Covey’s organization named John one of America’s Top 100 Thought Leaders for 2008 in Personal Excellence. He is a Member of The World Business Academy, The OD Network, and is author of many professional articles, including, “On the Shoulders of Giants: The Origins of Organization Development,” and “The Role of Individual Development in OD” in Practicing Organization Development. 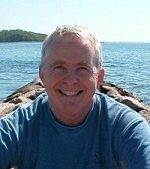 He is a pioneer in the emerging field that shares the name of his 1993 book, Work and the Human Spirit, and is the author or creator of over a hundred articles and video programs in the fields of leadership development, conflict resolution, high-performance and unleashing the human spirit at work. He has two chapters in the best-selling Chicken Soup for the Soul at Work as well as one in the recent The Many Facets of Leadership. His Breakthrough Series was one of the first applications of video-based technology to assist work groups in becoming high-performance teams. Based in Seattle, WA, John has four children, plays the guitar, does the occasional magic show, runs or swims (he still does the butterfly), does yoga daily, and loves to read a good novel. Foreword by Elisabet Sahtouris, Ph.D.